My post Sunday on Dallas in transition put the development of the metroplex into context. Today I want to zoom in and look more specifically at the experience of Dallas from the standpoint of a visitor attending a downtown event. This is a critical experience to get right because that and transiting through DFW may be the only experiences people from outside the city have with it, and it can be determinant in creating an impression. What I’m saying is not intended to be reflective of Dallas as a whole. I hear it has very nice neighborhoods, upscale shopping, excellent restaurants, etc. But based on my convention experience, Dallas is possibly the single most disappointing city I’ve ever visited. It starts with a long, dreary, and very expensive cab ride from the airport to downtown Dallas. As if your wallet doesn’t take enough of a beating, you drive past miles and miles of sprawl hell, auto dealers, strip centers, distribution centers, fast food restaurants, etc. lining both sides of the road into town. It seems like traditional urbanity drops off very rapidly outside of downtown Dallas, only a mere mile or two from the core, replaced by older sprawl. I expect this in smaller Midwestern burgs, but not in a metro area of almost 6 million. On the plus side, this drive takes you past Texas Stadium (unimpressive unless you are a Cowboys fan) and the new American Airlines basketball arena. I thought the arena was extremely nice and the highlight of the trip. It had a retro-20â€²s look that was reminiscent of an old London train shed done up in red brick — and I mean that as a compliment. Downtown is full of drab, generic skyscrapers, many lit up with neon. The hotels I saw were likewise very generic. The Convention Center itself was not easily walkable from hotels, and so it took shuttles to get there. The building is a typical hulking concrete structure. 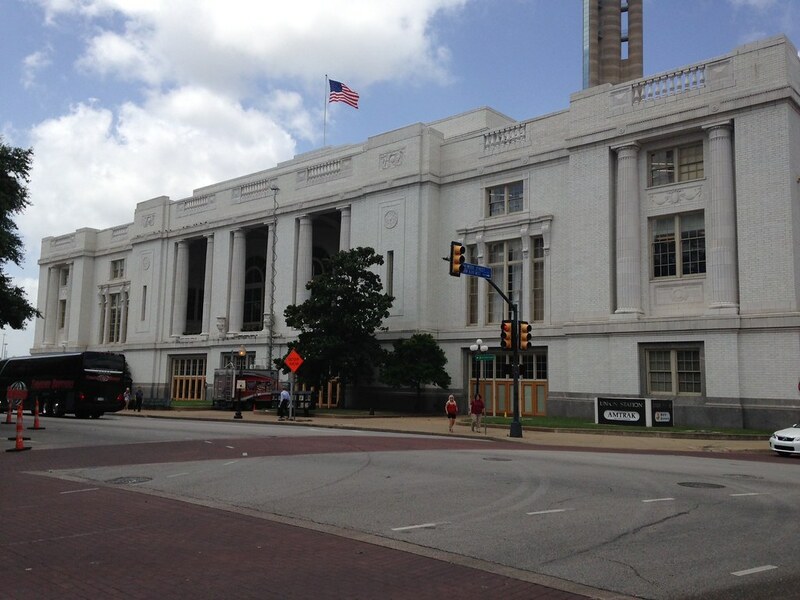 Although near the similarly uninspiring Dallas city hall, the area around it appeared to be an urban wasteland. I’ve never seen such a desolate and deserted area in such a high profile downtown area before. What’s more, it was a 4-5 block walk from there to the core of downtown. I actually made that walk, and once you get into the center of downtown proper, there is good density, pedestrians — albeit still a shockingly small number, and even a few older buildings, though I didn’t see any truly spectacular structures. A light rail line, called DART, runs through downtown, but the station I saw was deserted, as was the train that I saw stop there. I did see a few restaurants and a Starbucks, but nothing that looked like a major entertainment district. Admittedly, I did not have a guidebook, and I didn’t have time to walk up and down every block searching for interesting things — especially not over a mile from the convention center. Given the size and affluence of the metro area, and the good things I know from talking to others that it has, I was very surprised to see the poor face it presents to people attending conventions there. This is the only time many people will ever see the city. It’s the first and last impression many folks will ever have of Dallas. Has Dallas improved since then? Yes, but there’s still a long way to go. I’ll walk you through the experience, along with some specific suggestions for improvement. The trip starts at the airport. DFW is very convenient to get into and out of. I flew out of Terminal C, which is serviceable architecturally, but was overcrowded. The foodservice choices are quite poor and this is one easy upgrade area for a city that wants to be a global powerhouse. Chili’s and Friday’s ought to be there, but they aren’t enough. The cab ride is still steep – $70 according to one person I talked to who took it – but fortunately there are now transit options, with even better service on the way. But before I get to that I’ll mention the highlight of the airport, which is their ambassador’s program. This program has volunteers in cowboy hats who help direct people where they need to go, or with anything else. I took advantage of this to get directions to the train station. This sort of super-friendly and also useful introduction to the city is actually a great first impression, and especially good because it creates a human connection to the people of Dallas. Airport Ambassador. Image via dfwairport.comThere are two transit options. One is the DART light rail system, which stops short of the airport at this point and requires you to take two buses to get there. I’m told a direct airport stop will be available later this year. 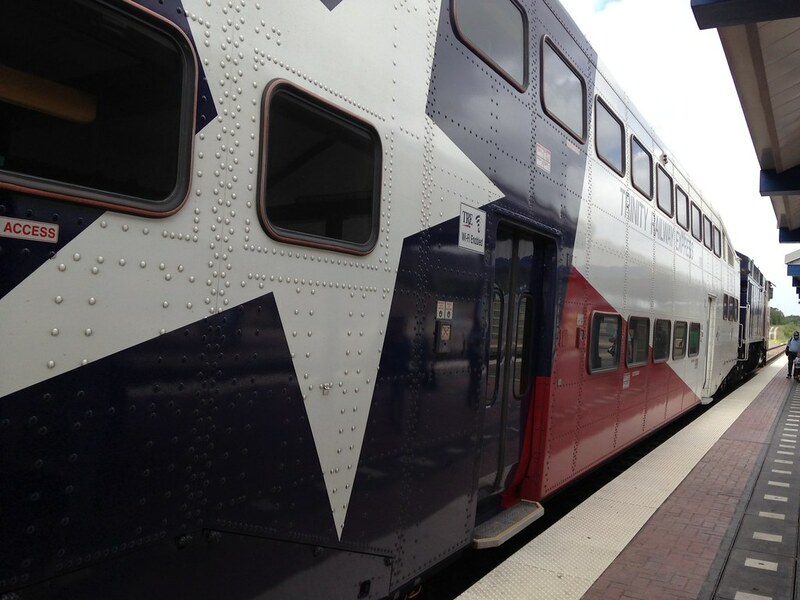 I took the Trinity Railway Express, a commuter line linking Ft. Worth with Dallas that has a stop at the airport. You take two buses to get to the train station as well, but they are free shuttle types. The journey to the station was half an hour and the train trip only twenty minutes with a fare of $5. However, it only runs once an hour or so, so you may have a wait at a station with no services or amenities. Light rail will surely prove more popular when there’s a direct connection. I found it interesting that the train was only two cars, has a human conductor, but still uses POP. What is that conductor doing if not punching tickets? I’d originally planned to cab it from the station to my hotel, but I decided to try walking instead. Good thing I was up for that since there were no cabs. It was a 20 minute or so walk to my hotel and my original thought is that I might pop into a restaurant for lunch on the way or something. However, the only real restaurants along my path were a diner right by the train station and a McDonald’s. It was a pretty bleak walk in a blazing hot sun, but certainly most destinations can be walked from the station. The conference I was at took place at the Winspear Opera House, which is part of the Dallas Arts District I mentioned in my previous post. They’ve got north of a billion dollars in new facilities. The Opera House is a fantastic place to hold a meeting. It seats 2,300 people, so places like this are where I’d be looking to book high end business functions like global partner meetings for prestigious firms and such. It’s a massive upgrade from the convention center. (Dallas may have improved its convention center since 2007, but I didn’t visit it). When you’re inside the opera house you certainly do feel like you’re in a real global city. The arts district itself is a bit Lincoln Centerish. The buildings are attractive but are in a plaza style layout that you wouldn’t want to visit if you didn’t have an event there. The DMA and other visual arts institutions at one end are an exception. As you can see, there was no one here on the street during the day. The streets of downtown Dallas are pretty wide, with buildings that don’t address them well, and hold little pedestrian interest. I’m told most of the historic building fabric was obliterated long ago. Today’s downtown Dallas is quite a contrast with what used to be there. Speaking of which, someone recently unearthed a video of downtown Dallas from 1939 – in color even. You can watch it on You Tube if the embed doesn’t display. The majority of the historic footage starts at 3:44. The urban fabric of that era contrasts starkly with the city today. I’ll show a couple of examples in a moment. Klyde Warren Park is definitely a highlight, and while certainly not cheap wasn’t ridiculously expensive as urban amenities go. I think it was less than $100 million dollars, including the freeway cap structure. So to checkpoint here, what we see is what I described previously: Dallas is putting major pieces on the board. It’s invested in the transit infrastructure, a major arts district, signature parks, and high profile residential development has started to sprout. These represent a pretty high dollar investment in stuff that a major city with aspirations mostly needs to have. Not good. I think we have to acknowledge that much of downtown Dallas is functionally an edge city because of designs like this. Until the designs change, there isn’t likely to be much pedestrian life. This is where we need to take a step back and think about what Dallas needs. The streets of downtown today are clearly inhumane. However, I’m not sure the traditional urbanist prescriptions will work here. There’s a comparison of Dallas to New York in that 1939 video, and indeed the streets were bustling, but I’m not sure Dallas can ever go back to something like that. For one thing, Dallas temperatures are very high. It was in the 90s and blazing sun every day I was there. This renders the city functionally unwalkable. I wanted to do a lot more exploring but just couldn’t because if I spent more than about 10-15 minutes outside I needed to take a shower. When I tweeted this people kept talking about other places in the world with high temperatures. It may be that some places are acculturated to this, or too poor to afford air conditioning. But I actually didn’t even get a good counterexample once you factor in humidity. Some folks mentioned Seville, Spain, but the July dew point in Seville ranges from 51-66 while in Dallas it’s 64-72. That’s a big difference. So walkability and urbanity is going to mean something different in a hot, Southern climate vs. northern cities. Think of that as challenge #1. Dallas is a place where whipping out the checkbook to hire a starchitect is in line with the DNA. Designing a high quality urban corner, not so much. This is why there are these fabulous major chess pieces, but the street level experience is poor. Dallas must overcome this to realize its urban ambitions. The mark of a great city is in how it treats its ordinary spaces, not its special ones. Everybody treats the special civic spaces right. But what about the average street? What about the details of the feel of the city? This is the mark of greatness. I suggest two steps for moving forward. 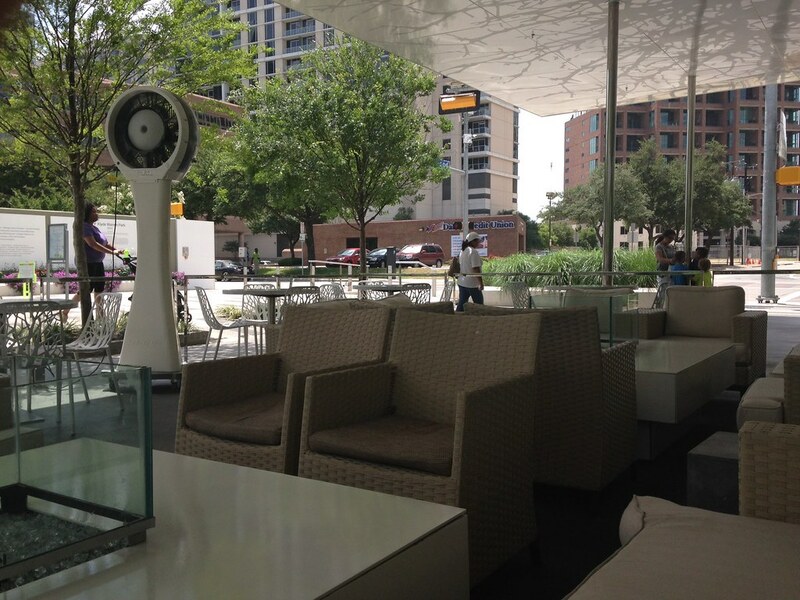 I noticed that outdoor cafes at restaurants have misters, fans, trellises, etc. Maybe Dallas could figure out how to incorporate these sorts of designs into the streetcapes. 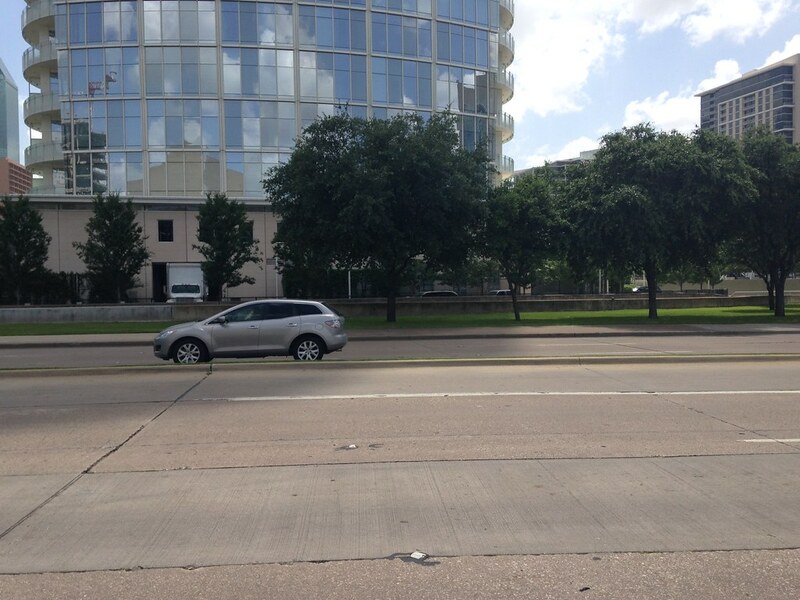 Maybe the streets of Dallas should be colonnaded or covered with trellises full of greenery to provide shade. These structures could incorporate misters and fans or something. Implementing something unique like this at scale might be a way to channel that Texas ambition. Dallas shouldn’t be afraid to question the orthodoxy here. For example, Minneapolis has skywalks that render that downtown more pleasantly navigable during the brutal winters, even though skywalks are conventionally considered a negative. I’d look at what other cities have done. For example, study Singapore’s Orchard Road. Secondly, channel the culture into an authentic way of expressing it with taste. 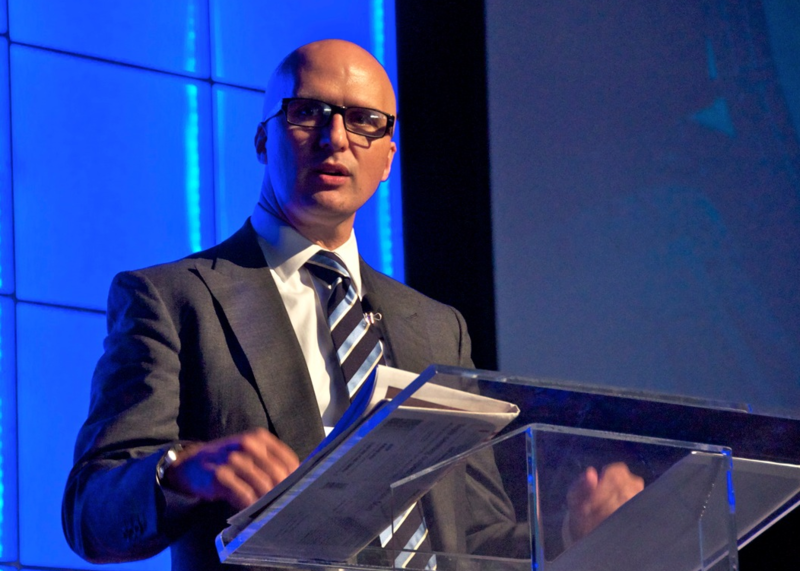 At New Cities, Michael Tregoning talked about the design inspiration for the Joule Hotel as in part coming from Stanley Marcus, former chief of Dallas based Neiman Marcus. I visited the hotel and its design has a nice mix of some glitzier elements but done in a tasteful and classy way. That’s somewhat how I see Neimans, which manages to combine a bit of in your face flaunting of luxury with class and attention to details. Stanley Marcus was the first person to bring some French designers to America, for example. I suggest figuring out how to articulate and channel something like this into public space design. So you take the Stanley Marcus approach and apply it to climate and contextually appropriate street designs, and do some pilots to figure out what works and what doesn’t. Dittos for the way buildings interact with the street. Once you nail it, then scale up, which Dallas does well. 2. Prioritize critical connective tissue. When Jeff Speck does an urban walkability plan, he maps out the high priorities corridors because you can’t fix everything at once. 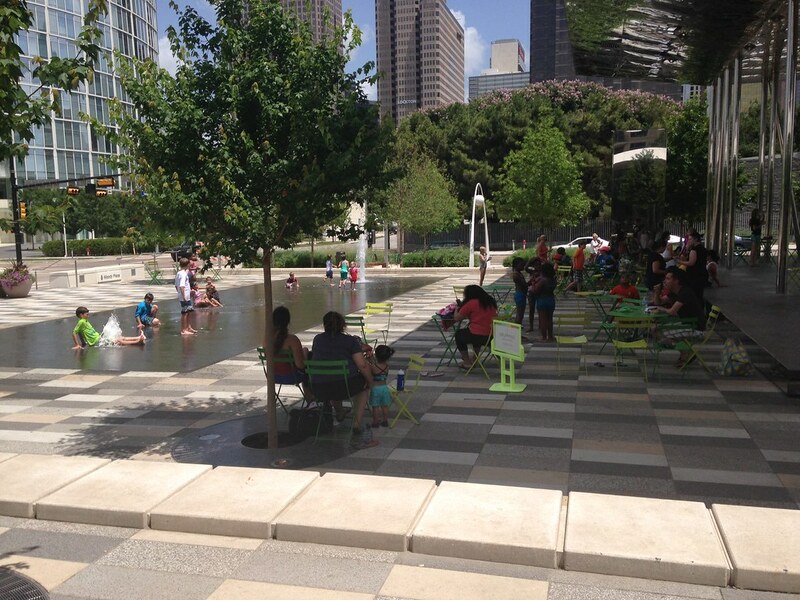 I’d start with a more pleasant connection between the arts district and Klyde Warren Park, two recent major investments. Basically you want to map where people are likely to go, especially spaces between destinations where you want to get synergies or make a good first impression (such as the corridors coming out of Union Station). Improve the area around the arts district and focus on luring high end events there, and you can make a great impression on the out of towner. 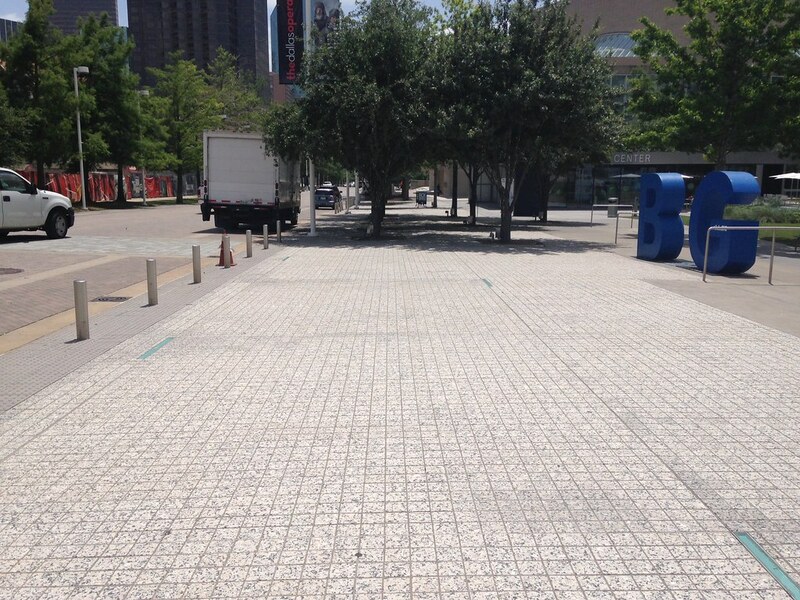 To sum it up, while there have been noticeable upgrades to downtown Dallas in terms of major building blocks, the overall grade is still Incomeplete because the street level experience has not been addressed. Once that’s taken care of in at least a few zones, Dallas will present a much more impressive face to both the out of town visitor and local heading to downtown events alike. 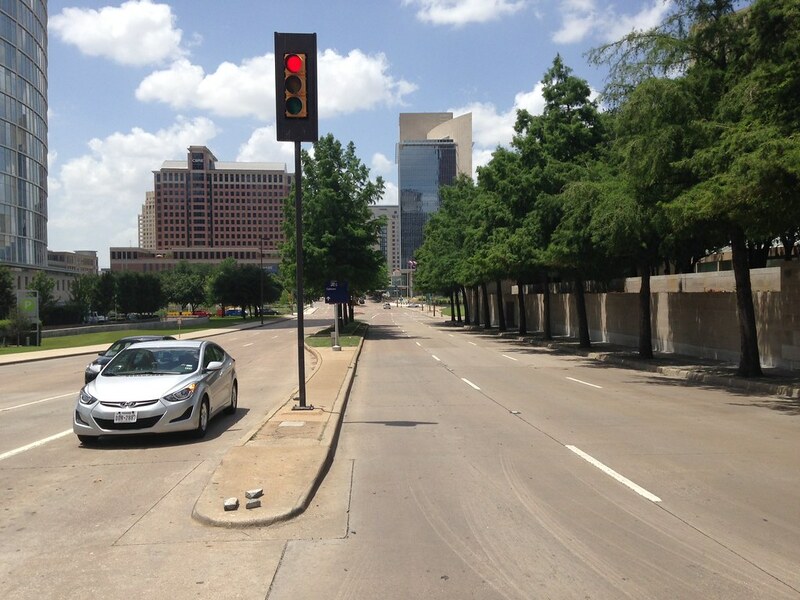 There’s a small block in downtown Dallas (Harwood at San Jacinto) that works well. It abuts a multi-story parking garage, which doesn’t seem promising as a hospitable urban space. Yet, with a hefty set-back creating a small plaza, shady trees, tables and chairs, some flowers, and various lunchtime (i.e., cheap) restaurants on the ground level of the garage, this spot consistently draws a good crowd, even in very hot weather. 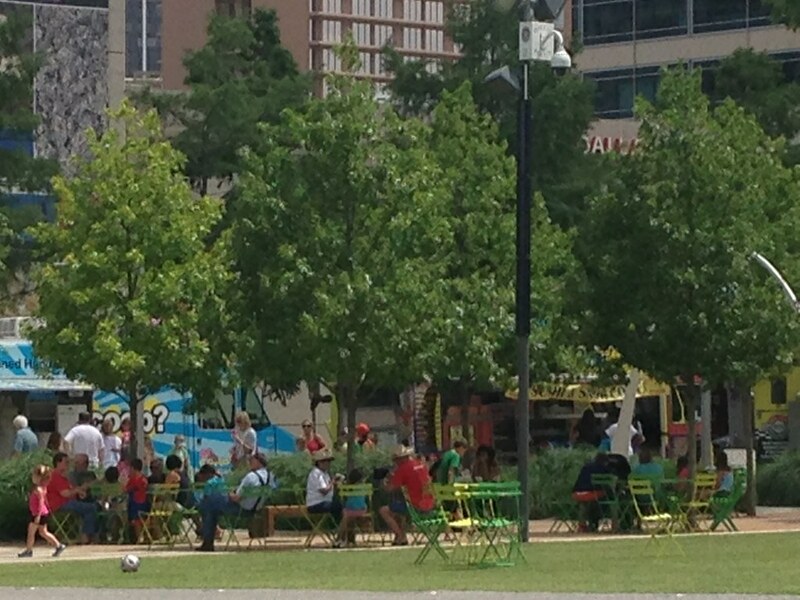 This is not rocket science, and Dallas’ development officials should require a lot more of it. The association of specific negative externalities (such as piles of horse manure from with horse-drawn delivery wagons) with commercial uses helped lead to “modern” zoning use separation still practiced in most cities. But modern use zoning goes back to the 1920s, after cars solved the manure problem. Urbanophiles, Dallas is at root a hardscrabble town “in transition”, as Mr. Renn says. Lots of us lower plainsmen drifted here out of the dust bowl. Hillbillies from Arkansas. Roustabouts and rootless freed slaves. Hell, St. Louis was the closest real “city” for a century, so no wonder most of us still don’t understand the language of “urbanism”. “Place” … An interesting term. Lots of Okies lost “the place” in the Depression and drought of the ‘30s. The former slaves working 40 acres of boll weevil-infested cotton with a mule down by Waxahachie never had much of a “place” to lose. But somehow there seemed to be a “place” that had just a tad more opportunity, a bit of a spark. Heck, Chicago was just about as accessible as Rome to us folks, but then I heard there’s a job in Dallas …. Funny thing about a “place”. It doesn’t have to be particularly sophisticated or polished if I’m coming up from “down there.” A roof, a scrawny chicken in the pot, wheels, family! But it is fun to have some dazzle to aspire to, a bit of distraction from the daily grind. Say, we can’t afford to buy much, but let’s go window shop at Neiman Marcus! Hey, State Fair is on! Listen, the Cotton Bowl is on the radio! 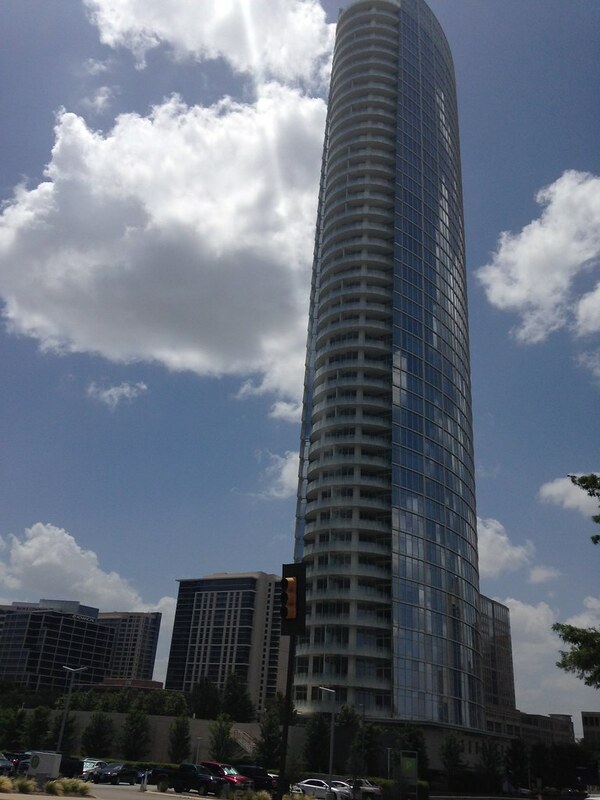 Dallas gradually became a “place” with a “name” … and “venues”. Ah, the “venues” of Dallas! Ok, no purple mountains’ majesty. No Golden Gate. No Lady Liberty. So let’s build us some. Shoot, Podunk, Arkansas and Wide Spot, Kansas and Bitter Water, Texas were “walkable”! That’s why I left! Wasn’t anything else to do, for leisure or work. But Dallas! Now you’re talkin’! So the bankers rushed to build too-tall skyscrapers (and didn’t have the “urban sense” to worry about “walkability” Hell, there’s shade in the parking garage! What more could you ask for!). The Hunt boys started the AFL. “Dallas” was the biggest name on TV, and lo and behold, The Cowboys became “America’s Team”! Not bad for a bunch of rubes! Dang! I should have looked at the Fortune 500 list. These are the ones that leap to mind. But back to Jerry for just a quick wrap: Hardscrabble kid from up in Arkansas, of course. Couldn’t resist “Dallas”. Familiar story, right? Gosh, if he doesn’t live right here in the city! Every Christmas, the wife, kids and I drive by his house to look at the decorations! You talk about “place”! Oh, before I go, I really should mention George Mitchell, you know, the wildcatter whose daddy came to Texas via Ellis Island (how’s that for urbanism?!). Ok, ok, it’s more of a Fort Worth story, but he wouldn’t give up on that dang frackin’ business. Barnett Shale over there on the west side of the Metroplex (but we love ‘em!) is where he perfected the thing. Hard to grasp, almost, but all that newly fracked natural gas is making a lot of the country a whole lot more walkable! Remarkable! Thanks for worrying some about us Dallas folks, but we’ll make it somehow or other! In terms of climate, Savannah, GA and Charleston, SC and two of the most walkable cities in the entire country, and both are in hot, humid climates. The downtown loop in Dallas is about the same size as the Landmark Historic District in Savannah, which is only one piece of the walkable core of the city. It’s simply a matter of will and design to make any climate hospitable for walking. I think Mr. Renn should spend a bit more time in Dallas. Many of these comments are also one dimensional and don’t mention the progress the city has made in the past decade. Dallas is not at the level of NYC, Chicago, or LA. But as a 2nd tier city, it’s one of the best. I say this having spent time in almost every major city in the U.S.
It’s easy to stereotype Dallas as auto sprawl hell when you spend a week in the city behind the wheel. Behind the scenes, there are numerous multi-family apartments going up near DART rail stations. We’re expanding a streetcar line between Uptown and Downtown and building a new streetcar route between Downtown and Oak Cliff. There are at least 5 other walkable mixed use nodes in the city besides downtown/Uptown which many visitors don’t even know about (Lower Greenville and Knox Street are two of them). There’s also an extensive off road trail system linking several major urban neighborhoods and White Rock Lake which are seldom mentioned (Katy Trail, Sante Fe Trail). The Trinity Skyline Trail flanking the Trinity River just opened last week offering expansive views of prairie flood plains near downtown. This trail will eventually extebd all the way to Ft. Worth. Perhaps Dallas’ greatest sin is that it hasn’t yet connected and marketed so many of these assets, as Mr. Renn mentioned. Unless you’re in the know and do research before hand, you might not know you can bike from downtown Dallas to White Rock Lake almost completely off road. You also might not know that it’s entirely possible to explore many of the city’s walkable areas by bike or transit. And while the summer heat is an issue, I believe it can be mitigated through livable street design and creating quality places people want to visit. In a metro with as much land area as Dallas, there is room for people to see what they want. 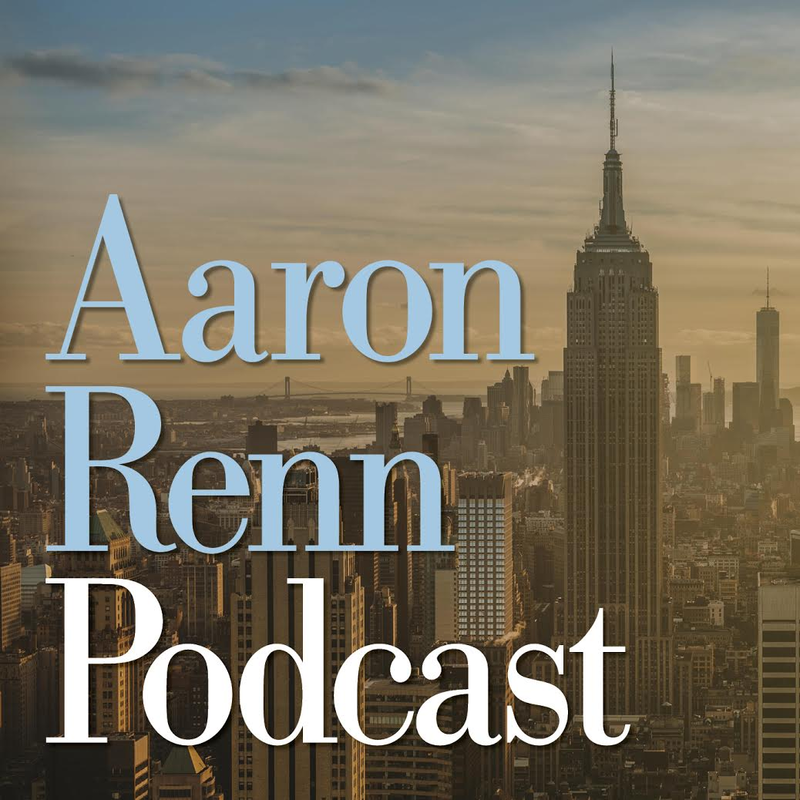 IMHO- Aaron’s post is good at showing how a person making a very short visit could come away with a really bad impression. Uptown- really seems to be the new Downtown and probably should be what the city hypes for now. That being said, Aaron probably should have tried to spend a little more time and effort checking things out. D/FW Airport Ambassadors — thank you Aaron, this was my brainchild, created while I was getting my masters degree as a consultant to the DFW Airport board. They were ;looking for a low cost way to to make the airport distinctively Dallas, and since I know the City is packed full of helpful friendly people, what better way to make a first impression. I presented the idea and came up with the mission and name – now it’s hundreds strong! As you know I’ came up with the name Uptown for the area north of downtown back in 1986 when working on a project across from what is now the Crescent Hotel! It was named in reference to the area of Chicago where I had worked for a real estate company. I thought it represented a positive sounding name for an area for new urban development with a well referenced geographic name. It was first mentioned in an article I did an interview for with the Dallas Morning News, and it just took off. Some people call me the original “Uptown Girl” ..and yes you’re now probably humming the Billy Joel tune that came out a decade later! Thanks for the link to the old 1939 footage — that was so cool! #1 Yes, the “streets of San Francisco” calls up a particular image — why not the dame approach for Dallas? I can think of several ways to do this. I like your thinking about “steering into the curve” on the thought about our obsession with it’s bigger in Texas – that bigger is better approach. We can challenge our artists designers and architects with such a mission. Interesting you thought of the colonnade. This was of course done in Milan Italy (The Galleria Vittorio Emanuele II) and our Mall (a few miles north of downtown) the Galleria (one in Houston, too) was named and styled after it. There was a proposal several decades back to create a similar doming of one or more downtown streets but city government couldn’t work in partnership to make it happen. Now, most of those structures are demolished and with few streets with uniform heights and set backs there are less options for it. Nice tip of the hat to Stanley Marcus, you have now reached InBigDCircle level one, on your way to a full Dallasite. (Fellow Neiman shoppers will catch the reference). #2 Priorities — yes, a very good point. Now with the Downtown Dallas Association (DDA) in full bloom, and with a funding mechanism, it’s possible to direct attention to what needs to be done rather than to a developers fancy or only in the context of one project. The DDA is quite goal oriented and you will continue to see progress. Initially they were focused on transit — you need to take the McKinney trolley next time you’re here- and getting buy-in and stakeholder participation, but having attended their luncheon with over 500 people this past year, and seeing a heightened level of excitement and commitment and planned projects, it’s definitely “on a roll”. Thanks Aaron, for caring so much about cities to give us an honest critique with viable solutions and directions.